It’s a dirty job; but Nicholas B. Comerford, who has spent decades studying soil and soil nutrients, is ensuring that the world’s forests will stay healthy, fertile and beautiful. As forests continue to shrink as land is cleared for agriculture and urbanization, reforestation becomes a complex equation and a delicate balancing act in which the quality of the soil is an important factor. One of Comerford’s main areas of research is the nutrient bioavailability of soil in forest ecosystems. The question of what can grow and how well it can grow often comes down to the amount of essential nutrients in the soil. Comerford’s research focuses on phosphorus, a key component in fertilizer. K. Ramesh Reddy, chair of the soil and water science department, said Comerford’s research directly helps those who need the information most – landowners, industry leaders and environmental organizations. “Consequently, much of the fertilizer currently added to the forest land in the southeastern U.S., as well as the accepted best management practices, have been influenced by Dr. Comerford’s research and his willingness to extend this information to user groups,” Reddy said. Comerford has also extended his knowledge to Brazil, where he has collaborated with several universities on the development of an international curriculum on forest and soil ecosystems. 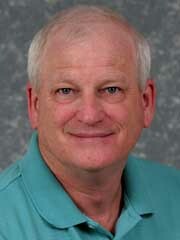 He has been a member of the Soil Science Society of America since 1979, including three years serving on the board of directors and currently as the President-Elect of that society. In Brazil, he is an editorial assistant to Revista Brasileira de Ciencia do Solo, a scientific journal about soil science. “Dr. Comerford’s accomplishments during the past two decades have clearly demonstrated his unusual creativity, excellence in reasoning ability and technical skills in addressing critical issues related to long-term sustainability of soils in retaining phosphorus and other associated nutrients,” Reddy said.